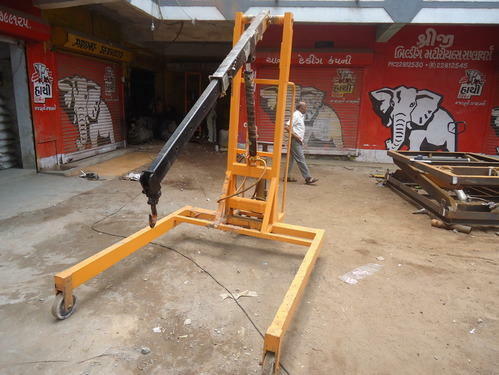 Pioneers in the industry, we offer chain pulley, electric wire rope hoist, rotated hydraulic floor crane, portable gantry customized product, counter balance floor crane and crane from India. 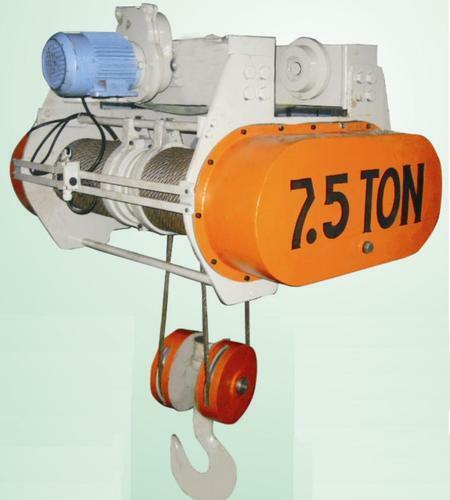 We are leading manufacturer and exporter of Chain Pulley & Traveling Trolley. 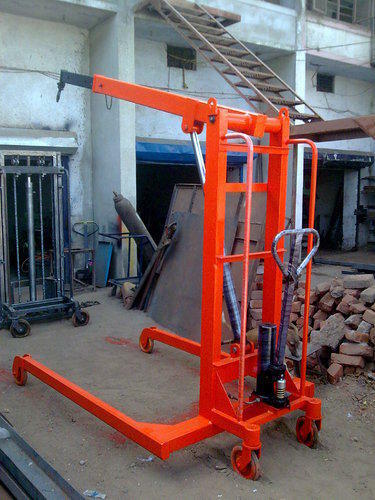 Our vast experience of this domain has helped us to serve a wide range of Chain Pulley Trolley to the clients. 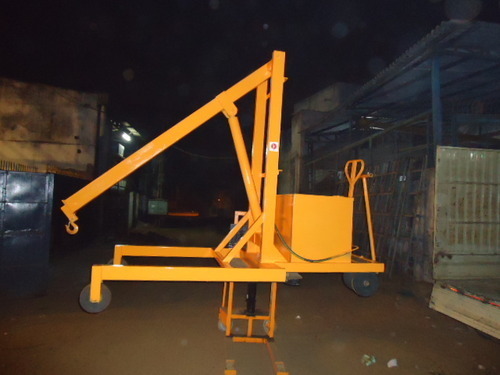 Electric Wire Rope Hoist offered comes with lowest headrooms and best wheel loads. We are leadiong manufacturer and exporter of Rotated Hydraulic Floor Crane.Being the market leader of this domain, we manufacture and supply the optimum quality of Rotated Hydraulic Floor Crane. Having year of experience in this domain, we are master in providing best quality of Portable Gantry Customized Product. 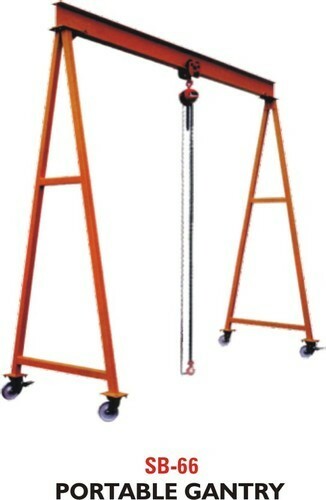 This Portable Gantry Customized Product is known for its quality and widely used in various suitable applications. Further, our products are of world class quality and available in the market at reasonable rates. Counter Balance Floor Crane offered allows for convenient lifting of variety of loads. 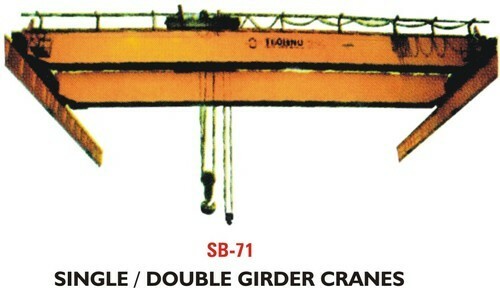 Single Double Girder Crane offered provide for exceptional load capacity and minimum deadweight.